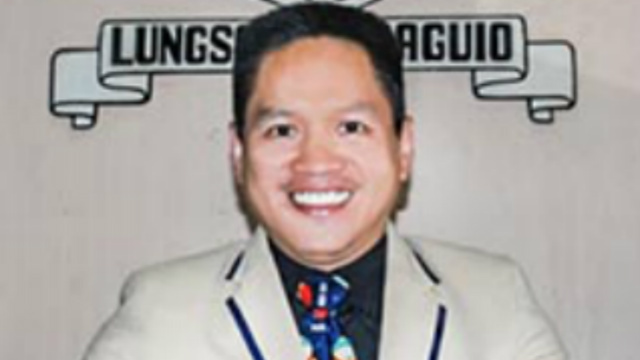 BAGUIO CITY – The City Council approved on first reading a proposed ordinance prohibiting the use of lead-coated paint brushes and other non-food grade utensils in the preparation of food in the city. The ordinance authored by Vice Mayor Edison R. Bilog stated that it shall be the policy of the local government to prohibit the use of lead-coated paint brushes and other non-food grade utensils in the preparation of food in restaurants, eateries, dinners, food karts, food stalls among others. However, the ordinance stipulated that only food grade basting or brushes such as pastry brushes or those do it yourself brushes made from banana leaves, lemon grass or pandan leaves and the like, shall be allowed to be used in the preparation of food such as when applying sauces on barbecues, icing or designs on cakes, coatings on pastries among others. Under the proposed ordinance, any person, owner, cook, food preparer of restaurants, dinners, eateries, food karts, food stalls, and similar establishments found to have violated the pertinent provisions of the measure shall be fined P1,000 for the first offense, P2,000 for the second offense and P3,000 and cancellation of business or special permit in the case of a business establishment such as restaurants, dinners, eateries, food karts, food stalls among others for the third offense. The ordinance tasked the City Health Services Office in coordination with the Committee on Health of the city’s 128 barangays to strictly monitor the compliance of the concerned establishments to the provisions of the measure. Further, the City Market Division of the City Treasury Office shall ensure the implementation of the pertinent provisions of the measure within the jurisdiction of the public market. The ordinance mandated the City Health Services Office and the City Market Division of the City Treasury Office to prepare the implementing rules and regulations to effectively and efficiently implement the provisions of the measure and shall submit the same to the City Mayor and to the local legislative body for their perusal and eventual approval. The ordinance stated that the City Public Information Office under the City Mayor’s Office and the Public Information Officer of the local legislative body shall ensure the widest information dissemination of the pertinent provisions of the pending measure. Republic Act (RA) 6969 or the Toxic Substances and Hazardous and Nuclear Waste Control Act of 1990 provides that the State shall regulate, restrict or prohibit the importation, manufacture, processing, sale, distribution, use and disposal of chemical substances and mixtures that present unreasonable risk or injury to health and environment. Subsequently, the Department of Environment and Natural Resources (DENR) issued Administrative Order No. 2013-24 or the Chemical Control Order that establishes a 90 parts per million total lead content limit in paint while the Department of the Interior and Local government (DILG) in support to the global goal of eliminating paints with lead content issued Memorandum circular No. 2018-16 regarding the mandatory use of lead safe paints by local governments.